Prehistory, Kerma, Egyptian, Napatan, Meroitic and post-Meroitic civilizations. Founded in 1967 at the initiative of Jean Vercoutter, the SFDAS was officially created in 1969. It was successively run by André Vila (1969-1975), Francis Geus (1975-1984), Jacques Reinold (1984-2000), Francis Geus (2000-2004), Vincent Rondot (2005-2009), Claude Rilly (2009-2014) and, since September 2014, by Vincent Francigny. In charge of cooperating with the Sudanese Department of Antiquities in its field activities (excavations and prospection), the SFDAS took part in the last rescue operations of the Nubian campaign which preceded the water impoundment in the Aswan dam reservoir. It then pursued the systematic inventory of the sites of the Nile Valley south of the lake. It has also conducted several planned excavations, namely on the sites of Missiminia (Napatan, Meroitic, X-group and Christian necropolis), Kadada (Neolithic, Meroitic and post-Meroitic necropolis), Kadruka (Neolithic funeral mound) and El-Hobagi (post-Meroitic burial mound). The centre is located on the premises of the Department of Antiquities of Sudan, the National Corporation for Antiquities and Museums (NCAM, which depends on the Sudanese Ministry of Antiquities, Tourism and Wildlife) in offices adjoining the National Museum in Khartoum. 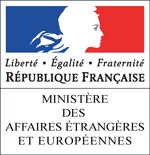 The SFDAS is one of the 27 French research institutions funded by the Ministry of Foreign Affairs (IFRE). Together with the cooperation and cultural service of the French Embassy in Khartoum, it plays an important role in the French scientific and university cooperation in the country. In accordance with the “protocol concerning cooperation in archeological matters” of the Cultural and Technical Cooperation Agreement signed on December 22, 1969 by France and Sudan, the SFDAS “is integrated into the Department of Antiquities of Sudan” and its director “is responsible for its department before the Director of Antiquities”. A resident researcher : Vincent FRANCIGNY (University of Lille 3). 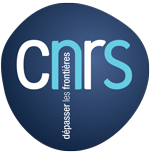 A BAR grantee (PhD research grant) : Elsa YVANEZ (University of Paris Sorbonne). The premises belong to the Department of Antiquities who allocates a group of three offices, a drawing room and a storeroom to the SFDAS. Three 4x4 vehicles, computer hardware, photographic and topographic equipment. The SFDAS has a scientific library. Its contents cover Nubian and Sudanese archaeology, prehistory and Egyptology. 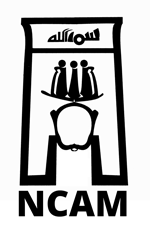 The library is open to NCAM colleagues, to Sudanese academics and to archeologists on short-term missions.